The popular trope about Sergei Simonov’s 7.62x39mm SKS rifle is that it is totally inaccurate. The truth is a little different. 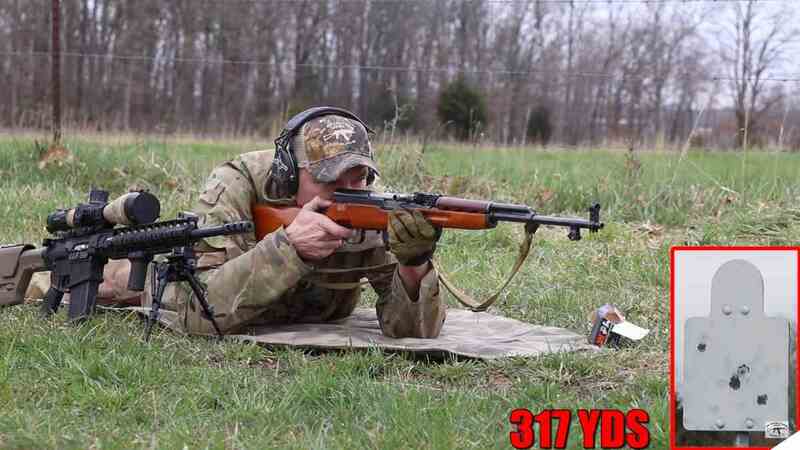 To respond to the rock throwing at the humble semi-auto carbine, Robski with AK Operators Union runs a Norinco model SKS in the above video out at a steel plate a good ways downrange, stressing he is there just to have fun with the rifle. For a longer stretch, the below video shows the Precision Rifle Network zero a Soviet SKS-45 and make attempts out to 500, then 600 yards, which is about the max performance from the ammo before it goes subsonic. Does it hit? Da.